The C-20 DeDuster offers simple operation and excellent cleaning performance. 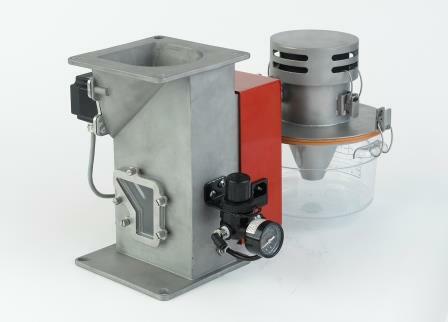 It is an effective dust removal system that is capable of processing up to 100 lb/h of dry, granular material. The lightweight C-20 DeDuster (20 lb) requires only 10.5 in. installation height between the hopper loader and inlet hopper of an injection molding machine. Therefore, it does not require additional floor space.